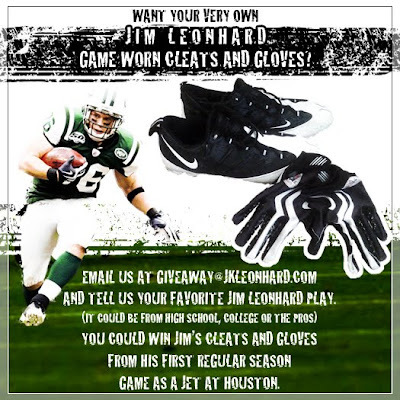 To celebrate our now more than 1,000 facebook fans on Jim's facebook fan page as well as a trip to the AFC Championships, we're giving away a pair of Jim's cleats and gloves from his first regular season game as a jet! Just send us an email at giveaway@jkleonhard.com explaining your all-time favorite Jim Leonhard play. 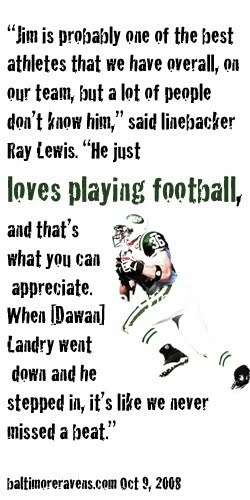 It could be from his high school days at Flambeau, his time as a Wisconsin Badger or his pro career. We'll pick our favorite email and the winner of the cleats and gloves will be notified by email.